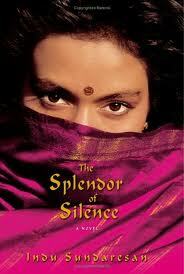 Saksh asked me to read this, and going by previous experience, I immediately placed a request at my library. Only after I started reading the book, did I make the connection with the movie(which I have not seen, by the way, but had read about). I honestly don’t know where to start to talk about this book. I read it in one go. Could not put it down. It was that engrossing. It takes you through a lot. Micheal Berg, a fifteen year old school boy, goes to thank a woman, Hanna , who saved his life when he came down with hepatitis, and ends up having an affair with her. One day, she disappears from his life, leaving no clues, no messages, nothing. He tries to find her, but finally gives up. He also wallows in guilt wondering if he had done something to drive her away. The next time he sees her, she is in a courtroom, a defendant in a trial related to the Holocaust. Micheal Berg’s struggle with the demons of history that his previous generation has handed to his, his guilt over his relationship with Hanna,his guilt that he has in some way, betrayed Hanna, so many emotions, so many angles, so well etched out. Hanna’s struggles with her own secrets. The most important thing that this book, brought out for me, was how the German generation which came into being, after the war, struggled with the moral dilemma, the second-hand guilt that has come along with their heritage. Micheal and Hanna’s relationship has been handled beautifully. A subject which could easily become sleazy, has remained what it was – a relationship between two people who had their own history. I am not going into the details of the story, because I do think that this is a book that we should all read, and I do not want to give away too much. 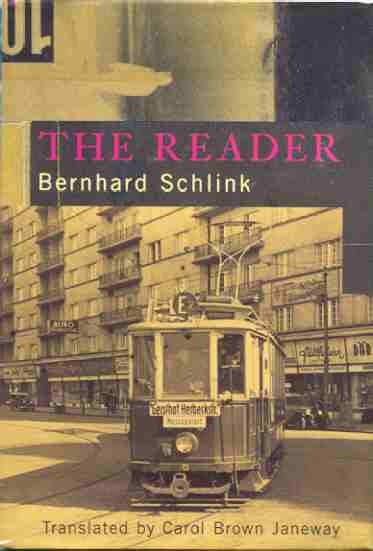 Why is it called the reader? Well, you have to read it to find out. And now, I want to watch the movie too. Saksh – can’t thank you enough for recommending this book.